Getting ready for prom? DIY your prom ‘do with these cool updos. We know that prom is basically the most exciting time of the year. From finding the dress to nabbing your date to planning pre- and post-prom activities, we know that your hairstyle may not be the number one thing on your mind. But don’t fret! There are so many simple updo ideas you can try for a speedy DIY approach to prom hair. Read on to learn how to make our favorite easy prom updos. 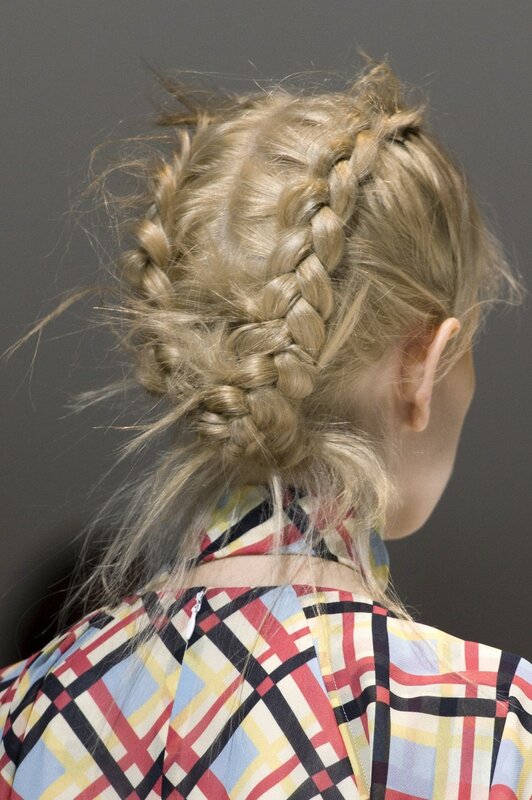 How pretty is this braided look? 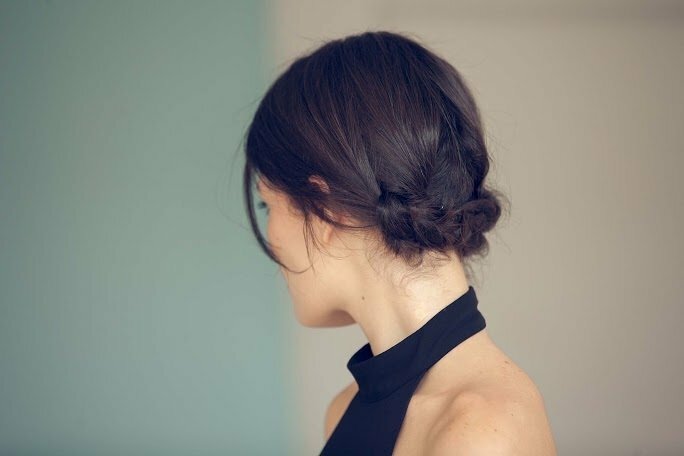 We’re loving simple updo ideas like these particularly when paired with bohemian dresses. This is a waterfall braid that’s actually pretty easy to recreate. Start behind one ear and wrap around to the other ear. Afterwards, you can secure all the rest of your hair in a bun. Make sure you’ve got a few wispy face-framing pieces for that extra boho vibe. 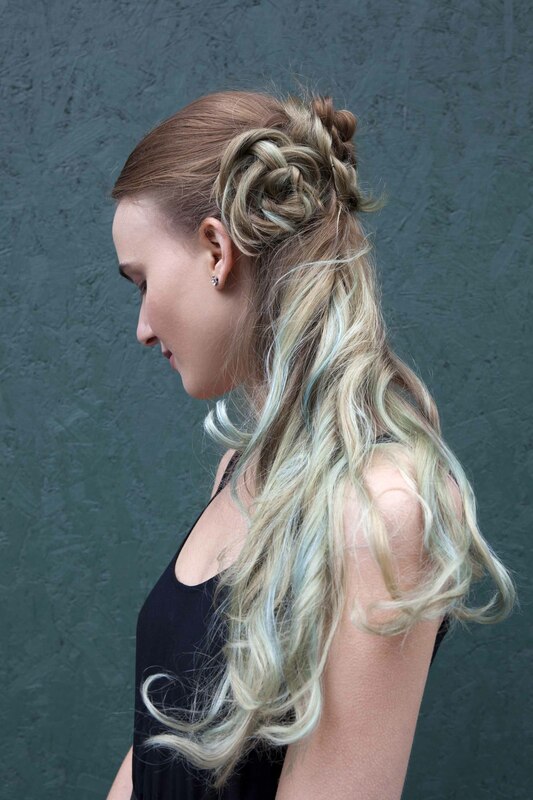 A different take on a braided updo for prom is this messy dutch braided style. It’s a pretty simple look to put together. It starts off with Dutch-braided pigtails, braided all the way down to the ends of your hair. Then, using the loose ends of the braids you can coil together a bun and pin it into place. To get that messy look, you can pull out random sections of hair to get a rough texture. This wet style is fashion-forward hair goals! Along with the funky pin accessories, this look can lean a bit over-the-top, so we think it looks best with a more subtle prom dress or one with a vintagey Flapper vibe. You’ll start off by creating the wet look bun. 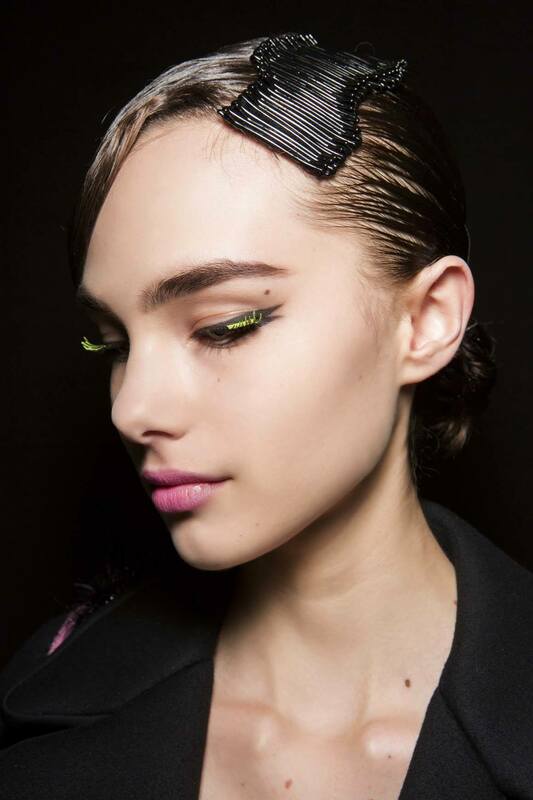 You’ll just need to brush your hair back, then apply gel through the roots down to where your bun will start. We like Nexxus New York Salon Care Exxtra Hold Sculpting Gel for this because it gives you the hold and shine you need for this look. Set the ends of your hair into a bun, then load up on bobby pins to create a cool hair accessory. 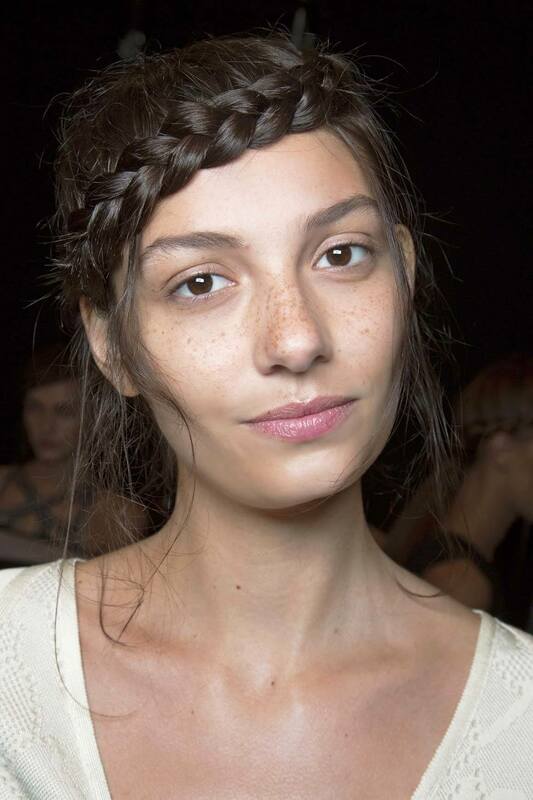 Simple Updo Ideas: Braids make this easy look a bit more special. We’re pretty much in love with this simple five minute hairstyle for short hair. You just need to split your hair in half and braid each to the ends. Then, you can pin those braids to the nape of your neck, and this style is done! Easy-peasy, and ready for prom in about five minutes. The OG of simple updo ideas! Any dress looks gorgeous with a ballerina bun. It’s so simple and elegant that it truly goes with anything. Just make sure that you have some Dove Style+Care Strength and Shine Flexible Hold Hairspray on hand. Follow our ballerina bun tutorial, then set with hairspray to make sure your style shines and stays all night. Prom can be the perfect occasion to wear a romantic hairstyle. And really, all it takes are some loosely curled, face-framing sections of hair. Then, all you need to do is wrap your hair into a bun! It’s easy to do quickly and looks absolutely charming with a sweetheart neckline. Braiding curly hair adds extra oomph. This pretty style looks charming on natural curls as well as curled hair. All you need to do is create a braid with the front section of your hair. Plait all the way down to the ends then secure with a mini hair elastic. Then you can create a top knot with the end of the braid! Done and done in just a few minutes. Simple Updo Ideas: Twisted and perfect, we love these knotted braids. A half updo is a great option if you are wearing a sleeveless dress. This lets your hair give your shoulders a little coverage, which keeps you from getting that floating-head look in your prom photos. Also, flower braids are super pretty, and for such an elegant, complicated look they’re relatively easy to accomplish. 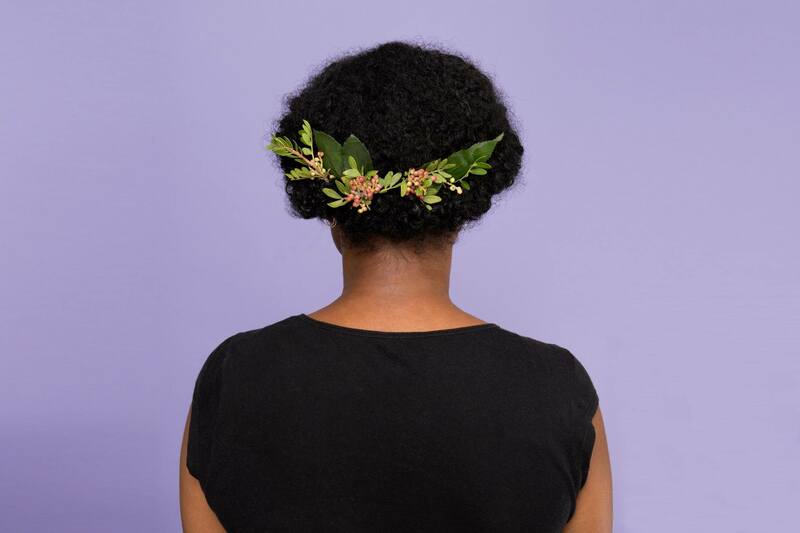 Follow our flower braid tutorial so you can create this prom updo. 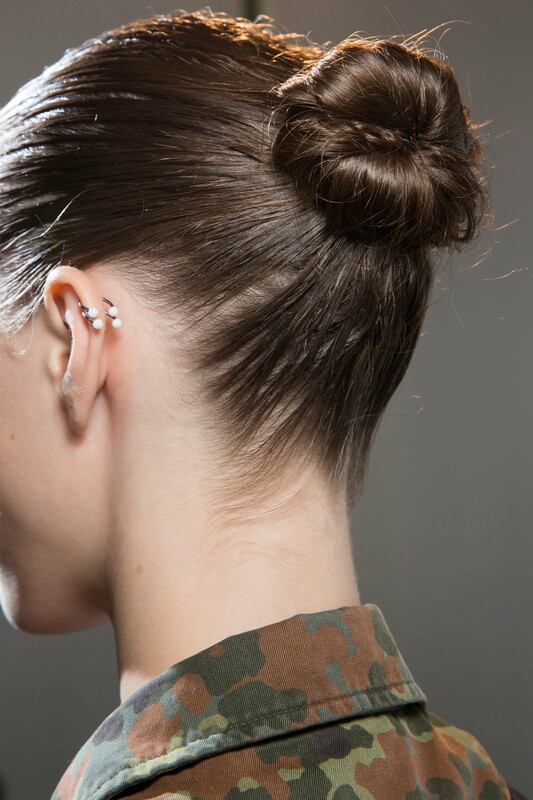 Simple Updo Ideas: For a fun take on a simple bun. This spunky style is great for casual or more twee takes on prom. It’s a big old bow, made out of your hair! Follow our bow bun tutorial to create this look yourself. You can also do a half up bow bun for a similar result to our flowery half updo. This style is best for those indie queens out there. Okay, can you get enough of this floral covered rolled updo? Because we can’t. It’s just an easy croissant bun, topped off with a pretty floral accessory. A croissant bun is basically a princess roll, but instead of spending half an hour rolling and pinning your hair, you’ just weave your hair around a headband. 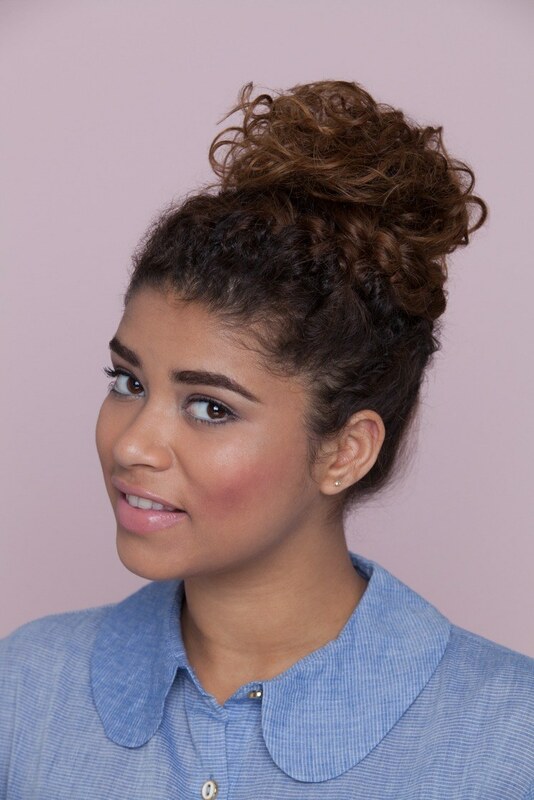 See a step by step tutorial of our croissant bun to learn how to create this look. Similar to the croissant bun above, the Gibson tuck gives off sweet vintage vibes. We like simple updo ideas like these for their chic elegance. 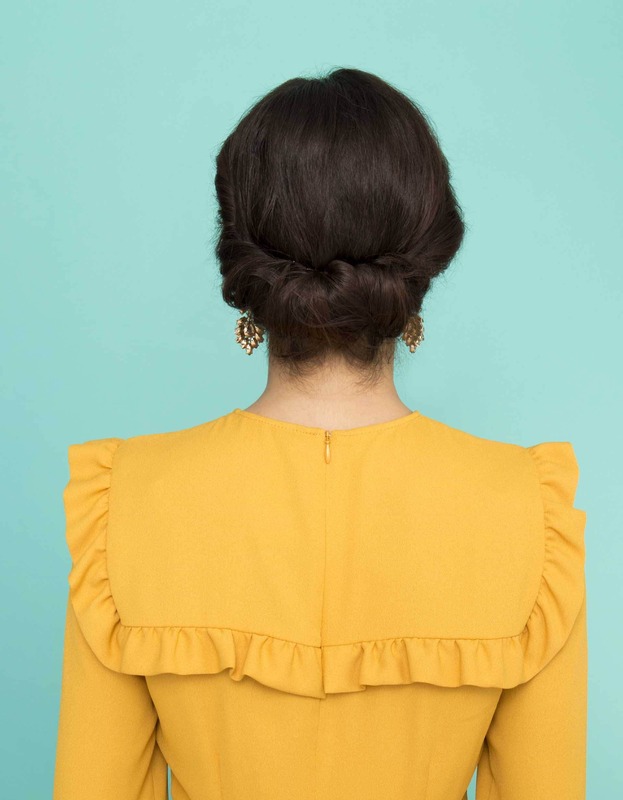 If you can put a few twists in your hair and pin a bun into place, you could probably knock out this style in 10 minutes. Follow our tutorial for the Gibson tuck to try it for yourself! This style works with natural curls or curled hair. 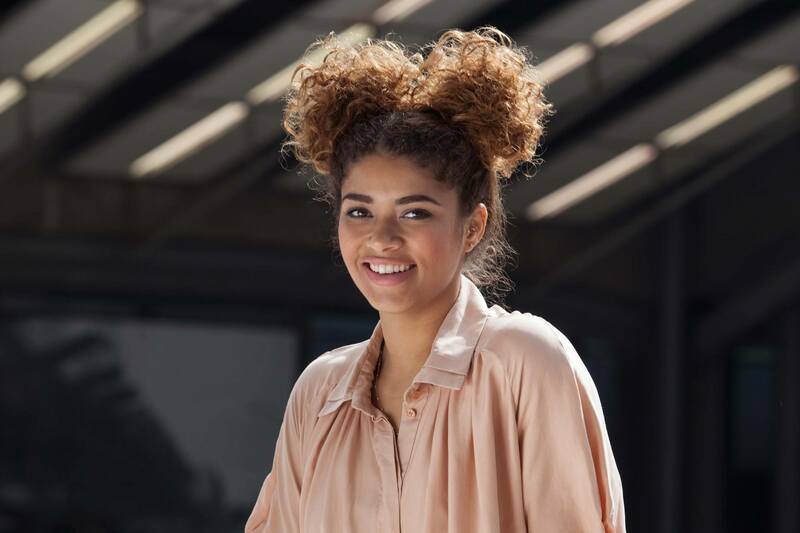 For a total shift in theme try these spunky curly space buns. 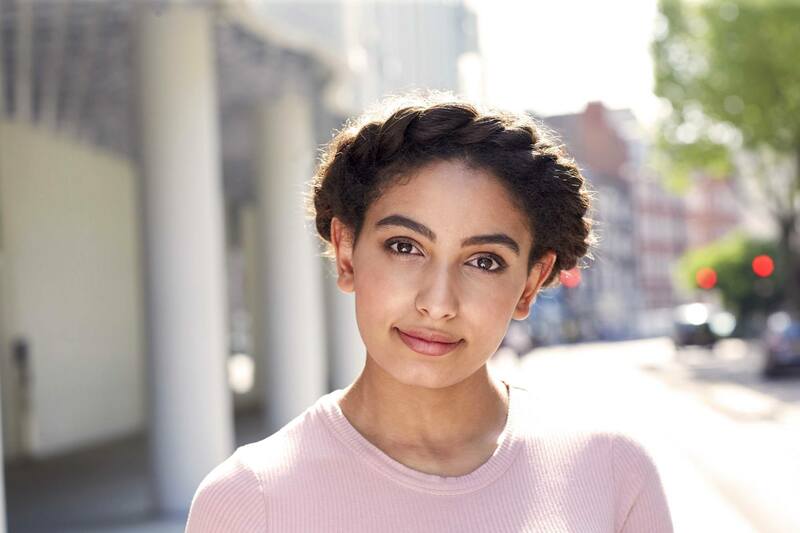 Unlike tight space buns that give a sleek look, we love the curly version for a fluffier, more relaxed look on natural hair. 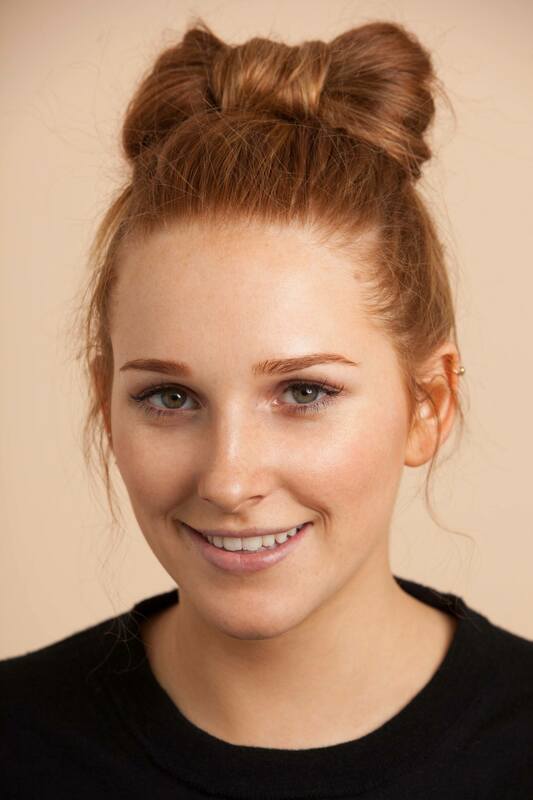 You just need to create two buns right on top of your head, keeping the hair loose to make sure your curls stand out! Finish off this style with TRESemmé Smooth & Silky No Frizz Shine Spray for a silky finish. Simple Updo Ideas: We’re in love with the beachy but sleek take on this updo. This style is equal parts elegant and beachy. Unlike a normal braid that wouldn’t give the same chill, beachy vibes, the fishtail is the perfect choice. All you need to do is create a side fishtail braid, then you just need coil it around into a bun. This bun pairs well with a mermaid style dress. Finger waves and chignons go hand in hand. 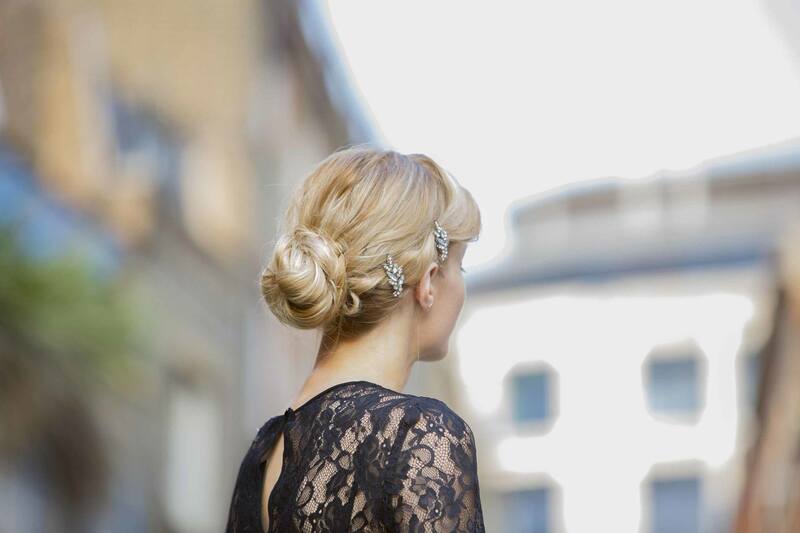 For our vintage vixens, you can’t go wrong with this elegant updo. It’s one of the few on this list that will take a little time, because you’ll need to curl and set your hair in a very particular way. You can see our cool vintage updo tutorial to learn more! We love to finish off this style with glitzy clips and pairing it with a vintage-inspired frock. A very different take on a vintage updo is this crown twist. We’re getting major medieval vibes, and are totally digging how this look goes with most all kinds of dresses, even those with high necklines. 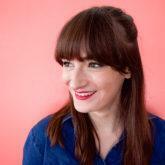 This style is essentially a French twist. You just twist two sections of hair over, then add a little more hair to each, and twist again. Style hack: You can also split your working section in two, and twist it over and over itself till it resembles a rope across your head, like a headband. Keep going until you have twisted all of your hair around your hairline. Pin it into place as you go to make sure it stays in place all night. For our casual prom attendees. Last but not least is this funky braided high pony. To create an upside down French braid, you need to do just that: Flip your head over and braid your hair upside down! 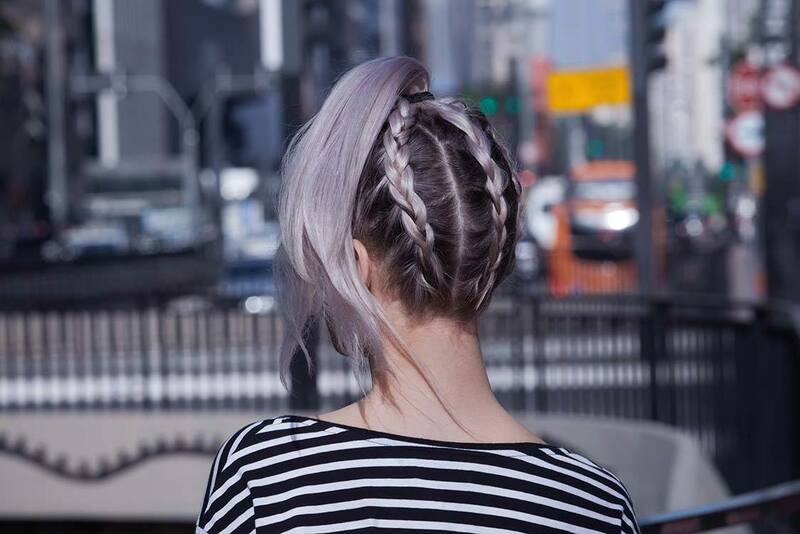 Do a couple of braids for an edgier look. Finish it all off with a high ponytail for a casual, cheeky result. Need even more simple updo ideas for prom? Check out these updos that work with any hair type.